Lightning can be detrimental to the agriculture industry. On average, there are over 8 million lightning strikes on Earth every day. With over 4.62 billion acres of land being farmed, there is a high probability of lightning striking farmland and ultimately impacting crops and livestock. Recently, multiple cows were killed on an Oklahoma farm as they hid under a tree during a thunderstorm. WDT’s real-time lightning alerts could potentially save farm animals by issuing warnings to the rancher or worker directly if a lightning strike has occurred with a 20-mile radius. The rancher could then double check where livestock are on the ranch and move them accordingly if the time and resources allow. Lightning can also deposit a significant amount of nitrates into the soil which can cause damage to surrounding crops. 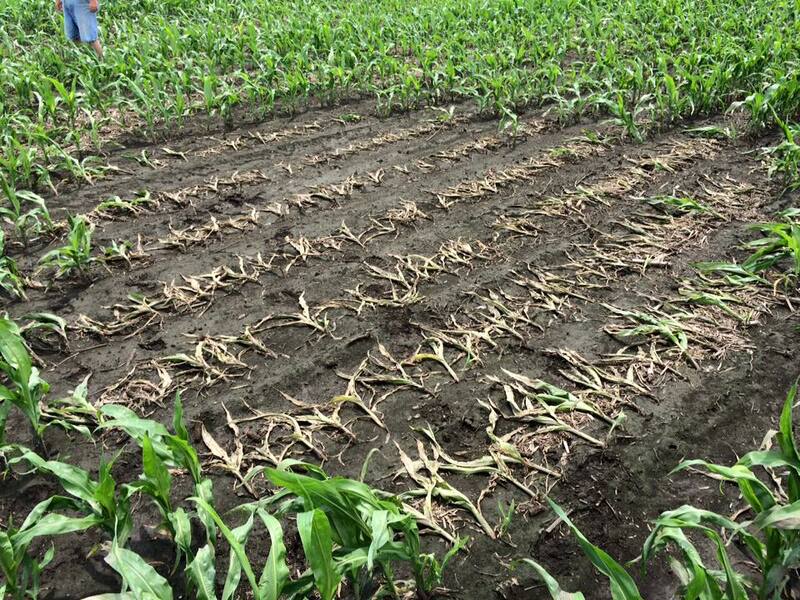 Crops damaged from this phenomena can be mistaken for pests and diseases, like root rot in corn. Historical lightning data can assist crop growers in determining if lightning was the cause of mysterious crop damage which could mean the difference between crop insurance coverage or not. We've gone to great lengths to simplify the weather as it relates to agriculture. Whether you need historical weather information, alerts about impending weather, or site-specific forecasting, we've got you covered.